Despite their image of moral innocence and best intentions, the lands of the north have become home to a scary, new form of anti-Semitism. Denmark’s experience of the Holocaust is unique among the occupied nations of Europe, protecting and ultimately saving nearly the whole of its Jewish population from deportation and extermination. But today, Denmark suffers from a new, bourgeoning, and dangerous kind of anti-Semitism, one that mixes strident anti-Zionism with a disdain for Jewish customs and practices. This is not only a problem in Denmark, but an inescapable, growing burden throughout Scandinavia. The Danish Jewish Museum and the Museum of Danish Resistance both tell that remarkable story. By August 1943, the tide of war had turned against Nazi Germany: the Allies had landed in Sicily; a German offensive at Kursk failed; and the British and Americans had strafed Hamburg. Anticipating the war’s end, the Danish resistance increased its activities, including violent disturbances, strikes, and sabotage. The Danish national government resigned on August 28, and the German administration declared martial law the following day. 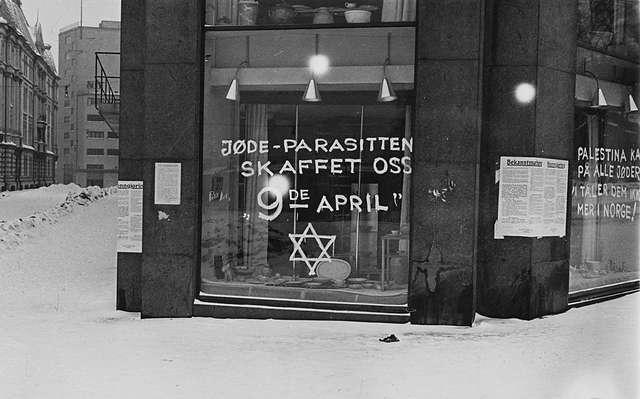 Since the beginning of the German occupation on April 9, 1940, Denmark had avoided the adoption of anti-Jewish policies, such as the yellow star and the confiscation of businesses. An apocryphal story circulated that King Christian X — whose daily horseback rides through the center of Copenhagen came to symbolize Danish sovereignty — took it upon himself to wear a Star of David. This story, though untrue, spoke to the special relationship between the monarchy and the Jewish community. Following the imposition of martial law, however, the Nazi Plenipotentiary Werner Best moved to liquidate Danish Jewry. The news was leaked via a German naval attaché, Georg Duckwitz, to Danish politicians who in turn alerted Jewish community leaders. Before German forces could arrest them, 7,000 Danish Jews were able to escape via train, car, and boat to neutral Sweden. This required cooperation and collaboration across Danish society, and not just the resistance movement. Local fishermen helped ferry the Jews to Sweden, and the domestic police force looked the other way. “Everyone who helped the Jews believed at the time that they were acting directly against the wishes of the Germans, and at great personal risk,” Laurence Rees asserts in Auschwitz: The Nazis and the Final Solution. Not all Scandinavian countries distinguished themselves as Denmark did during the Holocaust. But it can be said that Scandinavians as a people have been less overtly and traditionally anti-Semitic than other Europeans. Indeed, the most recent Anti-Defamation League survey of anti-Semitic attitudes found that Norway performed far better than countries like France, Spain, and Germany. Twenty-three percent of respondents thought it was probably true that “Jews have too much power in international financial markets,” 21 percent believe “Jews have too much power in the business world,” and 25 percent felt “Jews still talk too much about what happened to them in the Holocaust.” This is in no way comparable to countries like Poland and Hungary, where more than half of those surveyed believed these statements were possibly true. A new kind of hate that cannot distinguish between Israel and Jewish communities. The problem today, then, is not widespread traditional anti-Semitism but rather a new kind of hate, derived mainly from the failure to distinguish between Israel, Zionism, and local Jewish communities in political discourse. 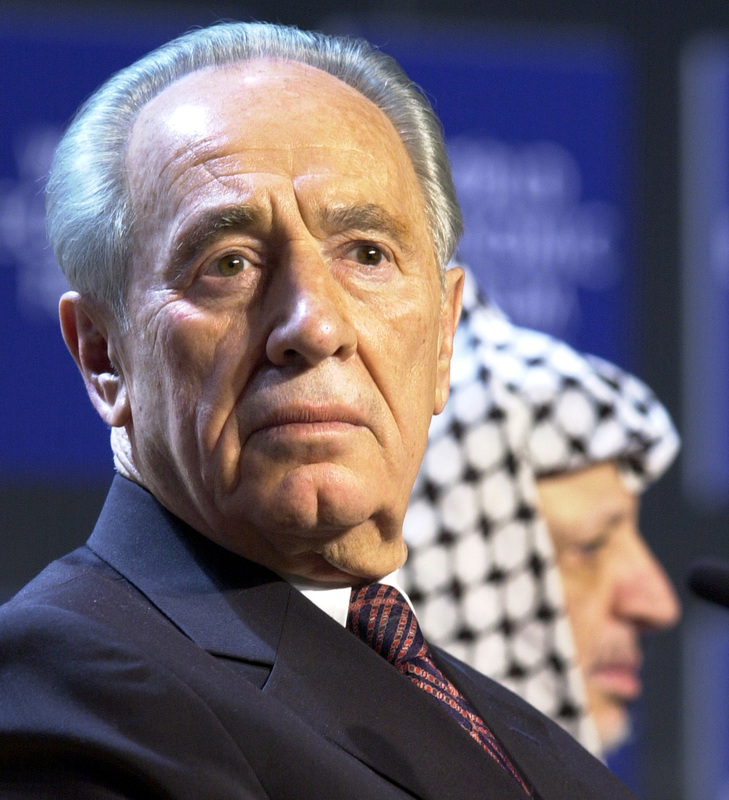 Put simply, anti-Zionism has rechanneled anti-Semitism. This exists alongside of, and sometimes combines with, an extremist, mainly Muslim anti-Semitism, which is especially acute given the proximity of Scandinavia’s small and vulnerable Jewish communities to larger and less well-integrated immigrant communities from North Africa and the Middle East. Finally, pervasive cultural attitudes stressing modernity and conformity above pluralism and tradition have seen the rejection of circumcision and other central symbols of Jewish identity. Taken together, these trends have fostered an unhealthy and disturbing sense of otherness that sees the Jews, with their connection to a foreign state and their peculiar customs and rituals, as markedly different from everybody else — and less welcome because of it. What distinguishes Scandinavian anti-Semitism above all from its European counterparts is that it is intensely anti-Zionist. While Norwegians, as noted above, are less prone to conspiracy thinking than their European brethren, the same ADL study showed that 58 percent believed “Jews are more loyal to Israel” than their own country. This is a higher percentage than France, Austria, the Netherlands, and even Poland. The degree of anti-Israelism in Norway today on the state level, in the media, in the trade unions, and at the universities, colleges, and schools is unprecedented in modern Norwegian history. The powerful individuals who have pushed for these negative and biased attitudes in Norway are today responsible for creating a politically-correct hatred towards Israel, which today portrays my country internationally as the most anti-Semitic country in the West. Indeed, anti-Semitism has merged with anti-Zionism across Scandinavia. In Malmö, Sweden, the local Chabad rabbi has experienced 90 anti-Semitic incidents, including one in which the word “Palestine” was scratched into his car. 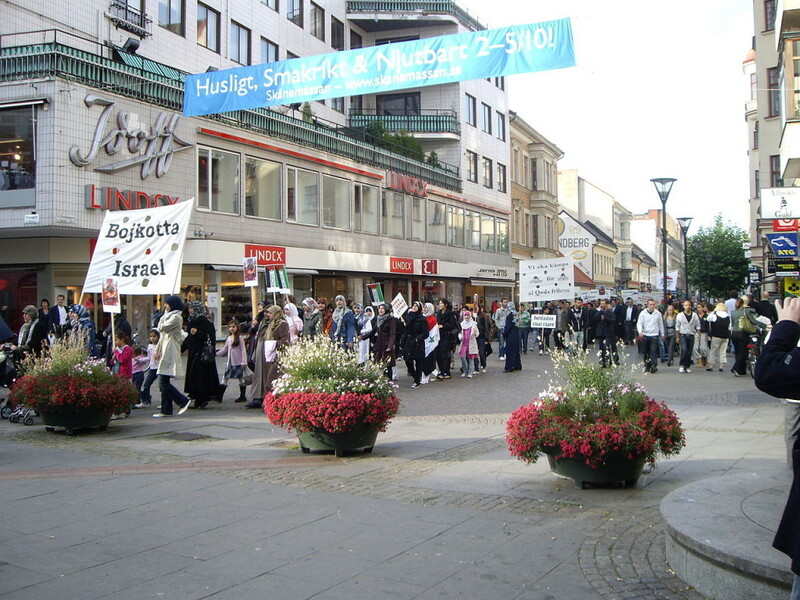 Pro-Israel rallies in Malmö have seen participants pelted with eggs, bottles, and firecrackers. On one occasion, the city’s mayor stated that Malmö does not “accept Zionism,” and that Swedish Jews can avoid anti-Semitism by publicly opposing the occupation of the West Bank. Across Scandinavia, anti-Semitism has merged with anti-Zionism. Many of the newspapers examined contained explanations of the fighting in the Middle East which involved conspiracies, and in one way or another alluded to notions with anti-Semitic or problematic anti-Zionist roots. In addition to those notions directly or indirectly linked to anti-Semitism, concepts of Jewish power exerted over governments and media were also to be found. Most of the newspapers examined also contained anti-Semitic concepts associating Israelis with the Nazis, depicting Jews and the Jewish state as copies of their historical persecutors. Explicit or implicit allegations of “Israeli genocides” and modern-day versions of the Holocaust or Nazi war crimes were found in a majority of the newspapers. In Denmark, the attitude toward Zionism is not as violent, but it is problematic. In September 2012, Copenhagen hosted the “Taste the World” festival. It was intended to be a pleasant and harmless celebration of the diverse foods and cultures of various nations. The Danish Zionist Federation wanted to participate by featuring Israeli products. The city council, however, believed this would be a mistake. “A meeting was held, after which I was asked to use my influence to persuade the DZF not to take part in the festivities,” Linda Herzberg of the Jewish Community of Denmark told Berlingske. The DZF decided to participate anyway, and informed the municipality of this. The council responded by barring them from displaying the Israeli flag. “Taste the World” was to be held in a park in Nørrebro, a large and diverse borough home to the city’s North African, Middle Eastern, and Balkan immigrants. The council believed that, under such circumstances, an Israeli flag would be a provocation. “It’s a shame that one group is discriminated against, especially at a diversity celebration,” DZF’s Max Meyer said in Berlingske. Copenhagen’s Mayor for Employment and Integration, Anna Mee Allerslev, later apologized for the controversy, calling it “unfortunate.” “We in Copenhagen need to feel like we can take part in events together, rather than segregated groups,” Allerslev stated. “Cultural and religious differences need to be respected, and it is only through respect that we can learn to live together.” Allerslev has since taken steps to improve relations with the Jewish community, going so far as to travel to Malmö in order to investigate anti-Semitism in the city. I discussed the incident and the subsequent fallout with Finn Schwarz and Alan Melchior, respectively President and Head of Administration of the Jewish Community in Denmark, as well as Bent Lexner, the Chief Rabbi of Denmark. They all praised Allerslev for her response to the incident and stressed the close cooperation between her office and the community. Nonetheless, one cannot ignore the fact that the city felt the need to ban the Israeli flag in the first place. 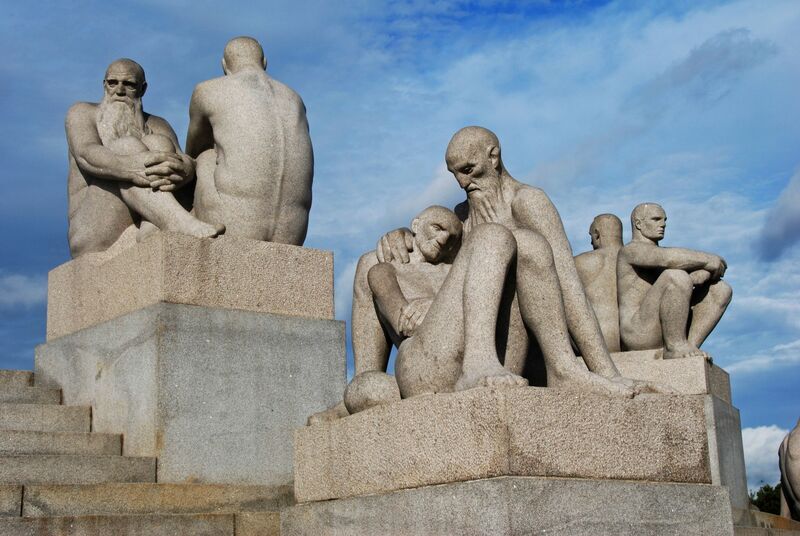 Denmark, moreover, has taken the leading role in challenging the legitimacy of circumcision. In 2003, the country’s Children’s Ombudsman classified circumcision as a violation of children’s rights. In 2008, the National Children’s Council proposed a ban on circumcising all children under the age of fifteen, which would have made the Jewish brit mila a crime. The ban was never codified. In May 2012, a court in Köln, Germany prohibited non-medical circumcision as tantamount to bodily harm, which touched off a debate on imposing a similar ban in Denmark. Norway also took up the issue following the German ruling. The country’s Center Party proposed a ban on circumcising children under age eighteen. Sweden already has restrictions on the practice: For boys under the age of two months, circumcision can only be performed by a “licensed professional,” and a certified doctor, nurse, or anesthesiologist must be present during the procedure. In addition, both parents must agree to the circumcision. The people I’ve spoken with who are in favor of it speak of it in terms of child protection, which is a big issue in Scandinavia. The roots of it aren’t really that mysterious—this is a culture that’s extremely protective of small children, and the image of operating on a baby without medical necessity is a strongly negative one there. It’s also a self-consciously modern culture, in which defending practices as part of an inherited tradition is less easy than it might be in other places. Certainly, the argument against circumcision on the basis of health or child protection is not by definition anti-Semitic. But there is a difference between disapproval and the desire to outlaw circumcision in toto. As Rabbi Lexner told Kristeligt Dagblad, “A ban on circumcision is equivalent to saying to those that have practiced Judaism in Denmark for 400 years that they may as well leave.” Shimon Peres summed it up nicely in a letter to his counterpart in Germany, Joachim Gauck. Circumcision, he wrote, is a Jewish custom “that has been a central tenet in our nation’s Jewish identity for thousands of years, and it is characteristic of the Jewish people ever since the first commandment that God gave to Abraham our forefather.” A ban on circumcision is thus anti-Jewish in effect, if not intent. I can say that there must be ten men present in the room where circumcision takes place. Here women must not be present. Just as women in many other cases are excluded from Jewish life. The rabbi, who is primarily trained to interpret the Torah, wields the knife. Without medical knowledge and without anesthesia he cuts the foreskin of the newborn boy, and the ten men that make up [the minyan] chant the appropriate prayers. The boy bleeds profusely. The baby boy screams and is now truly stigmatized. He is stamped for life. Koplev protests that his objections to circumcision should not be “construed as anti-Semitism,” but his perpetuation of pseudo-scientific, quack-psychological, and faux-humanitarian myths and misunderstandings inevitably recalls classic anti-Semitic tropes. Scandinavian governments are partially at fault for the rise of anti-Semitism, whether influenced by anti-Zionism or opposition to Jewish ritual. They encourage radicalism and irrationality through their foreign and domestic policies, and fail to address anti-Jewish hate crimes when they occur. Moreover, they have also failed to fully address the problem of extremist Muslim anti-Semitism, and the challenge presented by integration, assimilation, and community cohesion. In Denmark today, the Jewish community is unified, centralized, and integrated into society. It has a population of 8,000 at the most, out of a total population of 5.5 million. In Sweden, there are 15,000 Jews out of over nine million Swedes. Norway has only around 1,000 Jews out of a population close to five million. These countries’ Jewish populations are much smaller than their Muslim counterparts, which constitute 3 percent of the population in Norway, over 4 percent in Denmark, and 5 percent in Sweden. The most extreme example of this imbalance is in Malmö, where unemployment and urban deprivation are high. Around 30 percent of the population is foreign-born, and over 40 percent are of foreign extraction. Scandinavian Muslims are a large and heterogeneous group, coming from a cross-section of countries, ethnic backgrounds, and Islamic religious traditions. In contrast to local Jewish communities, they are highly disorganized and decentralized, and lack coherent leadership. Scandinavian governments, while admirably welcoming of immigrants, refugees, and asylum seekers, have failed to educate and integrate these new communities adequately. 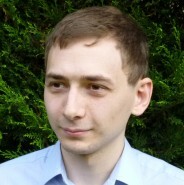 Mikael Tossavainen’s survey of Arab and Muslim anti-Semitism in Sweden found that Muslim immigrants often reside in suburbs and are isolated from the rest of society. This separation is particularly acute when it comes to the media, where radio or television specifically targeted at Malmö’s Muslim residents regularly broadcast anti-Zionist and anti-Semitic propaganda. One example is Radio Islam, a Swedish website described by the European Monitoring Center on Racism and Xenophobia as “one of the most radical right-wing anti-Semitic homepages on the net with close links to radical Islamic groups.” It uses Holocaust denial and the myth of omnipotent Jewish power to encourage anti-Semitism. This problem is particularly demoralizing, because what saved the Danish Jewish community in 1943 could easily contribute to their struggle today. “As far as the Danish authorities were concerned, the 8,000 Danish Jews were full citizens of the country and would remain so,” Laurence Rees notes in Auschwitz. He adds that Jews on the eve of the Holocaust were completely assimilated into Danish society. In other words, the Danes not only saved the Jews because they were Jews, but also because the Jews were their friends, neighbors, and colleagues. By contrast, today’s isolated Muslim minorities have no regular contact with Jews outside of specially arranged situations, which exacerbates the problems of ignorance, suspicion, stereotypes, prejudice, and hate. This August, in the presence of the queen, the Jewish Community in Denmark will mark the seventieth anniversary of the rescue, an event whose resonance is undimmed. Today, Rabbi Lexner asserts that, in spite of everything, “A Jew in Denmark can live a life without problems or fear of being a Jew.” But there is evidently a problem when the Copenhagen municipality feels compelled to call an extraordinary summit to discuss an alarming rise in anti-Semitic violence; when hate crimes against Jews are at record levels; when security advisors to the Jewish community state that they have “absolutely no confidence in the authorities of the country”; and when Copenhagen’s only Jewish day school has to be protected by gates, barbed wire, and security cameras, while teachers and officials tell Jewish parents not to enroll their children in Denmark’s state-run schools. Much has changed in the form of anti-Semitism, but for the Jews of Copenhagen and all over Scandinavia, the threat is thus is a very real one. Scandinavian governments, therefore, have an obligation to do more to confront this threat, and a tremendous challenge lies ahead when it comes to combatting extremism, fostering integration, and making sure that Jews feel secure and welcome — not only as citizens and individuals, but as Jews and Jewish communities thriving and unafraid, with their own traditions, cultures, and heartfelt commitments.